A year on from our winning pitch I thought I’d write a longer blog than usual that covers what we talked about in our presentation to City Camp. But first things first, a big thank you to everyone at City Camp Brighton for supporting us to get to where we are now. When we won we were awarded £2000 which may not sound like a lot, but it’s a start and enabled us to apply for matched funding from various places and coupled with the support of the City Camp network we’ve managed to get from an idea to employing our first worker in the space of a year, a big step for us as a new charity which has been run on a solely voluntary basis up until now. We’re really grateful to Brighton and Hove City Council, Southdown Housing Association and The Sussex Community Foundation, and all the other people who’ve supported us through fundraising and donations. 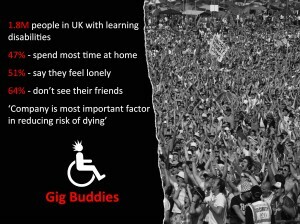 The whole idea behind Gig Buddies was to find a way to support people with learning disabilities to go mainstream gigs and events. 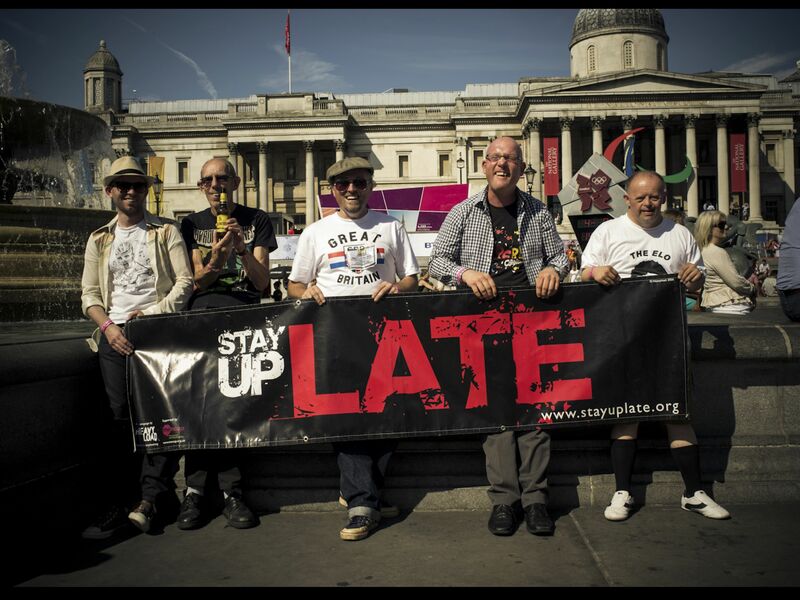 I played bass in the band ‘Heavy Load’ for 15 years and as many of you will know the frustrations faced by us as a band led to us starting Stay Up Late as an awareness campaign. 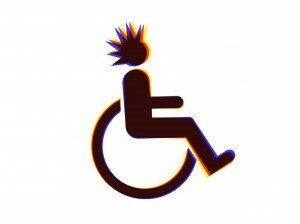 Being a band made up of musicians with and without learning disabilities meant we played at a lot of disability arts venues, and we tired of seeing our fans leave at 9pm because their support workers were working inflexible shifts. At the time of starting the campaign we were also being filmed for the feature documentary about our lives and so we were able to reach a huge number of people all experiencing the same frustrations, either as people who relied on support to get out and about, or as support workers who were equally as frustrated. 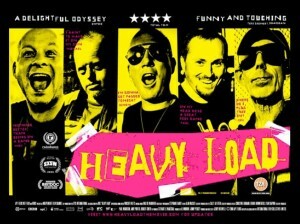 Heavy Load went on to play in New York, Glastonbury festival (twice! ), Copenhagen, Berlin and toured the UK as well as releasing three albums and being commissioned to write the theme tune for Channel 4 drama series ‘Cast Offs’ and were all to aware of the fantastic things people with learning disabilities can achieve when given the opportunity. – Needing support to go out. On a national scale there are 1.8M people with learning disabilities and in 2010 the Learning Disability Coalition published ‘Stories From The Frontline’, looking at impact of Government’s funding policies which showed that 47% of people with learning disabilities were spending most time of their time at home, with 51% saying they feel lonely and 64% not seeing their friends. 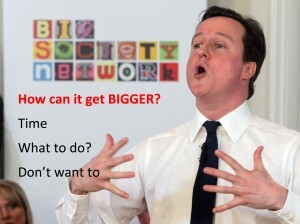 The Guardian also reported that disabled people make up 2% of the population but are shouldering 15% of the spending cuts. So we can either moan about this – or we can try and do something – even if it’s small, and that’s what we’re trying to do with Gig Buddies. 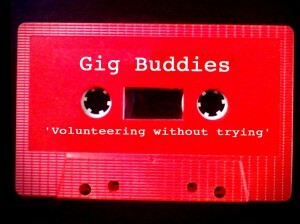 We’re hoping that the Gig Buddies works on addressing the first two – and maybe we address the third one through time. 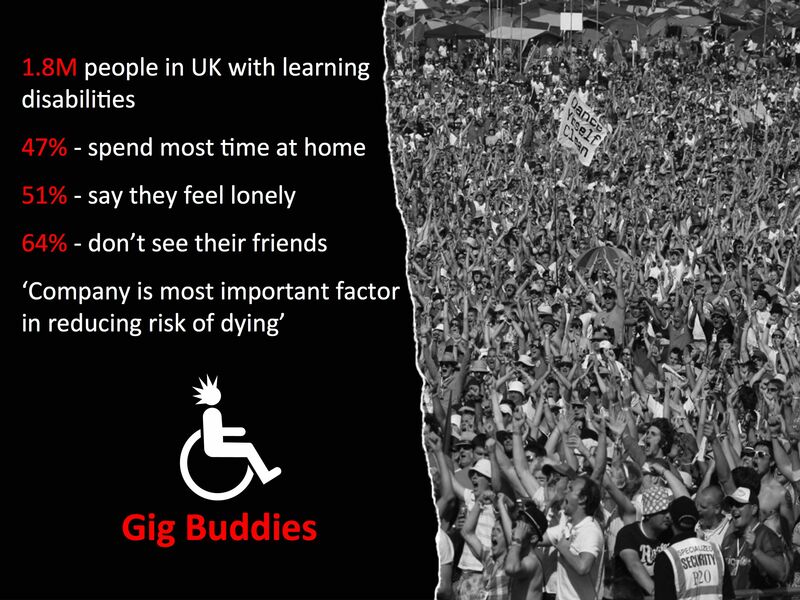 The idea behind Gig Buddies is simple, it’s like dating without the ‘LOVE’ – we match people with and without learning disabilities through a shared loved of the same kind of music or activity. Buddies are vetted and trained and ongoing support is provided and we’ll be having social meet-ups in pubs for the community of buddies to share experiences and plan new ones. We’re also in the process of setting up an advisory group for the project – a group of people with learning disabilities involved in the scheme and helping us steer it – and link with our board of trustees. The main focus is that it’s all about making volunteering easy, whilst doing everything properly – to cut through as much red tape as possible. We’re also working on developing a Gig Buddies web app to support participants in organizing their social lives and reflecting on their experiences and we’ll have more news on that in the coming months. 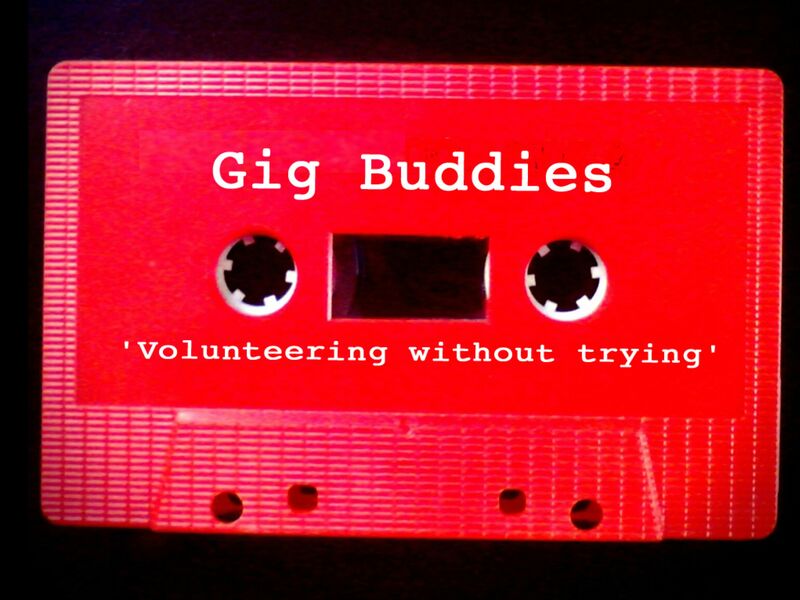 We’re also planning to pilot a version of Gig Buddies at a major music festival in the summer and we’ll be saying more about that when we’ve confirmed things. Brighton is a fantastic place to be right now, with City Camp, The Brightoneers, Good For Nothing a great live music scene and what with the accepting nature of our city it seems the best possible place to start the scheme. At City Camp I was also asked to reflect on what kind of future do we want to create together for the city of Brighton and Hove. Simply I think we live in a society where being selfish has become quite legitimate and simply the future I want is one where we say that selfishness is not legitimate. And it’s great to know there’s so many people already committed to that through community work and events like City Camp. 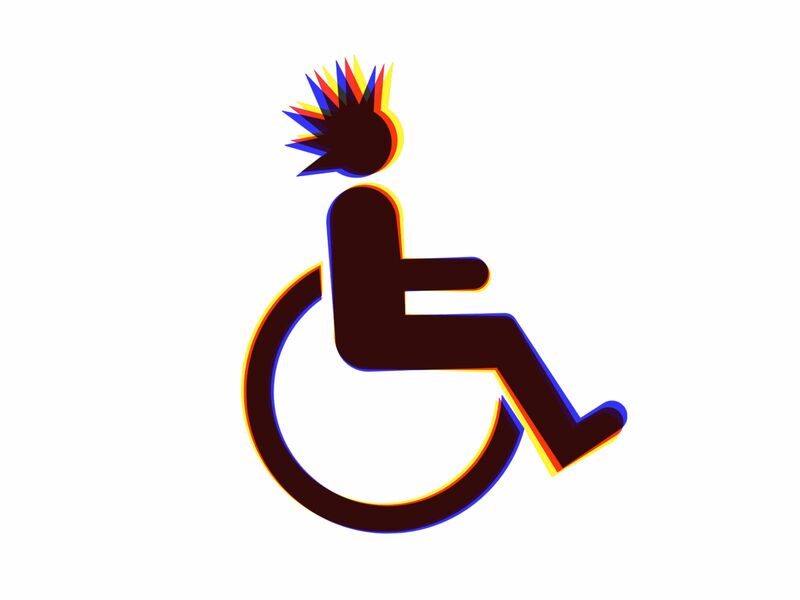 But as I always like to say ‘let’s keep things punk’ and by that I mean lets not spend too much time talking, lets get on and make things happen – so I also want to see a future that is punk!